Following program was asked by Josh Software during campus recruitment. Y axis denote marks and X axis denotes student role number. Write a program to generate graph (Roll number Vs marks obtained) without using any graph library. Accept marks of n student from user, represented by an array . 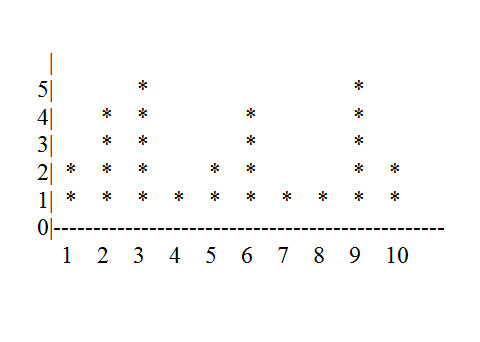 Y axis denote marks and X axis denotes student role number. If you have any problem with code,please comment below.